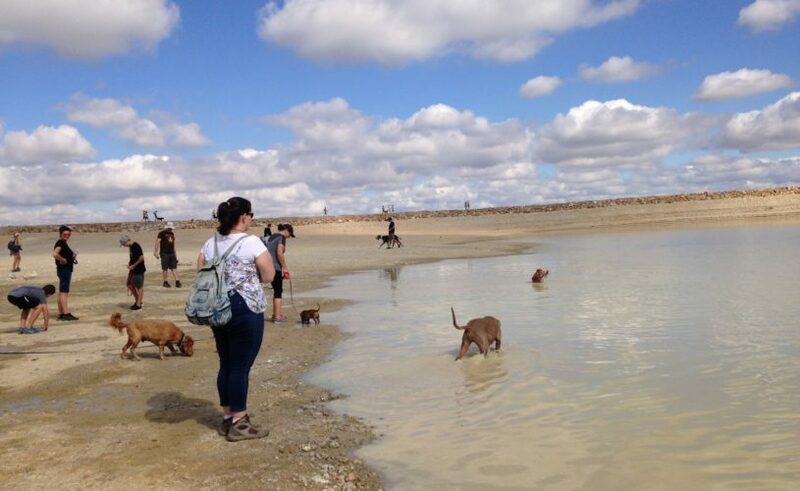 On Saturday 30th March Dunstone Country Estate launched the inaugural Dunstone Dog Walk, a gentle, 4km circular public walk through the vineyards and farmlands of the Bovlei Valley on the outskirts of Wellington. The event was held in aid of Wellington SPCA and overall a total just shy of R8,000 was raised by the 90-strong group of dog owners and their families, many of whom brought donations of dog food and other miscellaneous items on the charity’s wish list. “We are absolutely delighted with the success of the first Dunstone Dog Walk” said farm owner, Abbi Wallis, who has agreed with Wellington SPCA to turn the dog walk into a bi-annual event on the Wellington community calendar. Since their purchase of the Bovlei farm in 2002, the Wallis family’s affinity with animals has been evident, starting with the Dunstone logo and wine label that features the farm’s first dog, a wiemaraner named Shiraz. 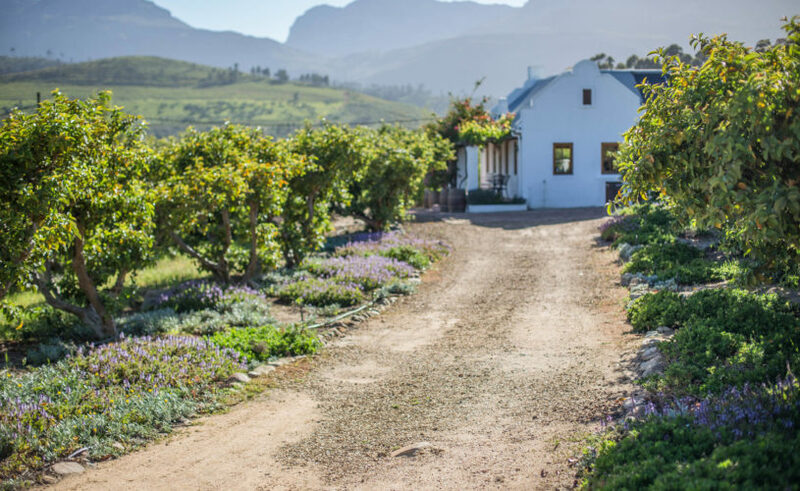 The Dunstone family now includes two dogs, Rosé and Merlot, two pigs, Hello Kitty and young rescue piglet Petal, and two horses. “Considering our love for animals and commitment to the upliftment of the local Wellington community, it made sense for us to partner with Wellington SPCA to raise awareness and financial support for our four-legged friends, said Abbi. “We look forward to growing this relationship in the long term and we’d like to thank all of our guests for their ongoing support of The Dunstone Dog Walk and for contributing to such a warm community atmosphere last Saturday.